Councillors have delayed making a decision on plans to install a pedestrian crossing next to a primary school. Hartlepool Borough Council bosses were looking to bring in the traffic light based puffin crossing by St Aidan’s School in Stockton Road and double yellow lines along the North side of the road. It was proposed to introduce the crossing on the road immediately North East of the Loyalty Road junction, where currently a school crossing patrol operates. 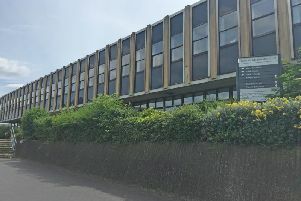 A decision was due to be made on the proposals by the council neighbourhood services committee. However committee chair Coun Stephen Akers-Belcher moved to defer the plans for further consultation, which was approved by the committee. A report from Tony Hanson, assistant director for environment and neighbourhood services, stated the crossing would improve road safety and pedestrian crossing facilities in the area. However after an initial consultation was held over the plans three objections were received raising concerns the crossing would cause a road safety hazard with potential for accidents due to the close proximity of several junctions. A decision is now expected to be made by the council next month on the plans.